Anthropogenic climate and land-use change are leading to irreversible losses of global biodiversity, upon which ecosystem functioning depends. 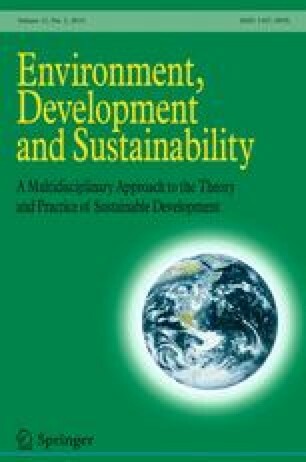 Since total species' well-being depends on ecosystem goods and services, man must determine how much net primary productivity (NPP) may be appropriated and carbon emitted so as to not adversely impact this and future generations. In 2005, man ought to have only appropriated 9.72 Pg C of NPP, representing a factor 2.50, or 59.93%, reduction in human-appropriated NPP in that year. Concurrently, the carbon cycle would have been balanced with a factor 1.26, or 20.84%, reduction from 7.60 Gt C/year to 5.70 Gt C/year, representing a return to the 1986 levels. This limit is in keeping with the category III stabilization scenario of the Intergovernmental Panel for Climate Change. Projecting population growth to 2030 and its associated basic food requirements, the maximum HANPP remains at 9.74 ± 0.02 Pg C/year. This time-invariant HANPP may only provide for the current global population of 6.51 billion equitably at the current average consumption of 1.49 t C per capita, calling into question the sustainability of developing countries striving for high-consuming country levels of 5.85 t C per capita and its impacts on equitable resource distribution. Marland, G., Andres, B., & Boden, T. (2007). Global CO2 emissions from fossil-fuel burning, cement manufacture, and gas flaring: 1751–2004, Oak Ridge National Laboratory. http://cdiac.ornl.gov/ftp/ndp030/global.1751_2004.ems.